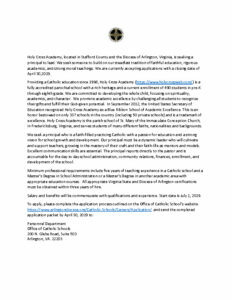 We are in need of catechists to assist with our Religious Education Classes for the upcoming school year. This is a wonderful opportunity to explore your Catholic Faith while guiding young people towards Christ! 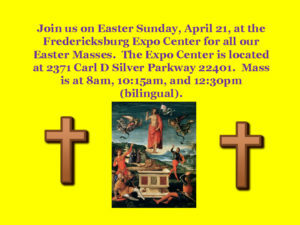 If you or someone you know is interested, please call the parish office at 540-373-6491 or contact the Director of Religious Education, Aristedes Lucas, at alucas@stmaryfred.org.